How did a boy from a tiny town on the Caribbean coast become a writer who won the hearts of millions? How did he change our perception of reality with his work? 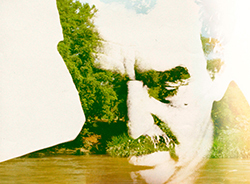 The answers lie in the incredible story of Gabriel Garcia Marquez, the 1982 Nobel Prize winner in Literature. A law-school dropout and political journalist who grew up in the poverty and violence of northern Colombia, Gabriel Garcia Marquez became the writer of globally celebrated, critically-acclaimed books including Love in the Time of Cholera and One Hundred Years of Solitude. Known as "Gabo" to all of Latin America, Gabriel Garcia Marquez's sensual, "magical" sensibility leds him to the forefront of the political struggles of the 1970s and 1980s—including a pivotal and previously unknown role in negotiations between Cuban leader Fidel Castro and American President Bill Clinton—and into the hearts of readers across the world. 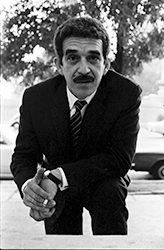 In addition to Clinton himself, the documentary GABO: THE CREATION OF GABRIEL GARCIA MARQUEZ includes former Colombian president Cesar Gaviria along with writers Juan Gabriel Vasquez and Plinio Apuleyo Mendoza; journalists Enrique Santos, Maria Jimena Duzan and Xavi Ayen; New Yorker correspondent and author Jon Lee Anderson; biographer Gerald Martin; literary agent Carmen Balcells; and siblings Aida and Jaime Garcia Marquez in its thoughtful and personal study of the writer's life and legacy. Illustrates the decades-long often violent resistance movement of the indigenous Nasa people of Colombia over rights to their native land. It was once illegal to read books by Roque Dalton, one of El Salvador's most celebrated poets, in his own country. Director Patricio Guzman travels to Chile's Atacama Desert, studying traces of distant galaxies, ancient civilizations, and the remains of the disappeared.